Extra large round mirror with internal shelf. Black metal industrial style frame with rustic wooden display shelf. Great look for modern, contemporary or retro styled home decors. Large round mirror set inside metal frame with rustic, natural wooden shelf, ideal for displaying ornaments, candles or toiletries and accessories. 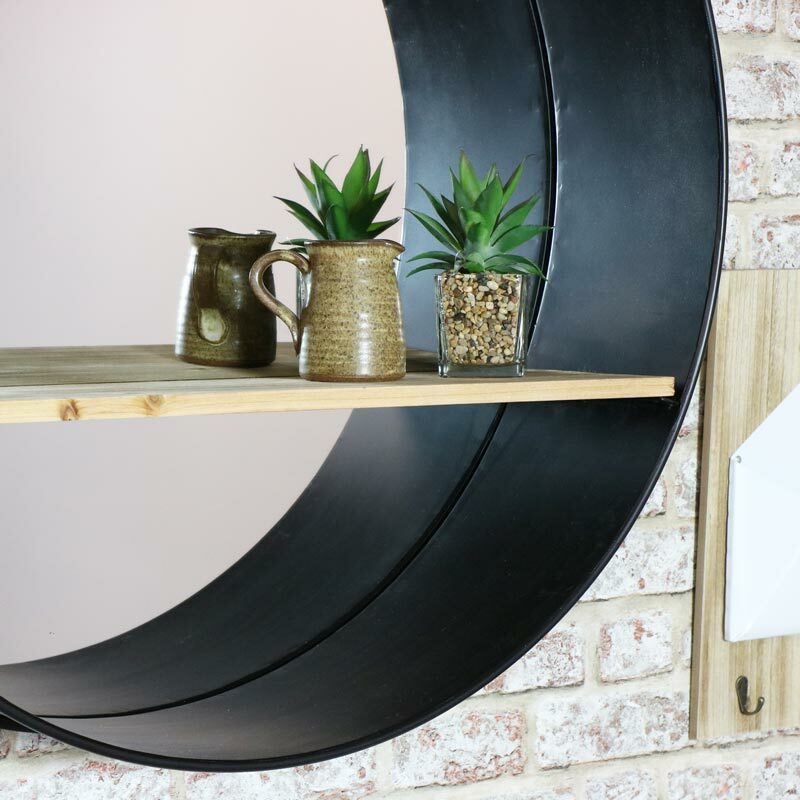 This mirror will easily fit in with our retro and industrial style furniture, perfect for adding that finishing touch to your home. 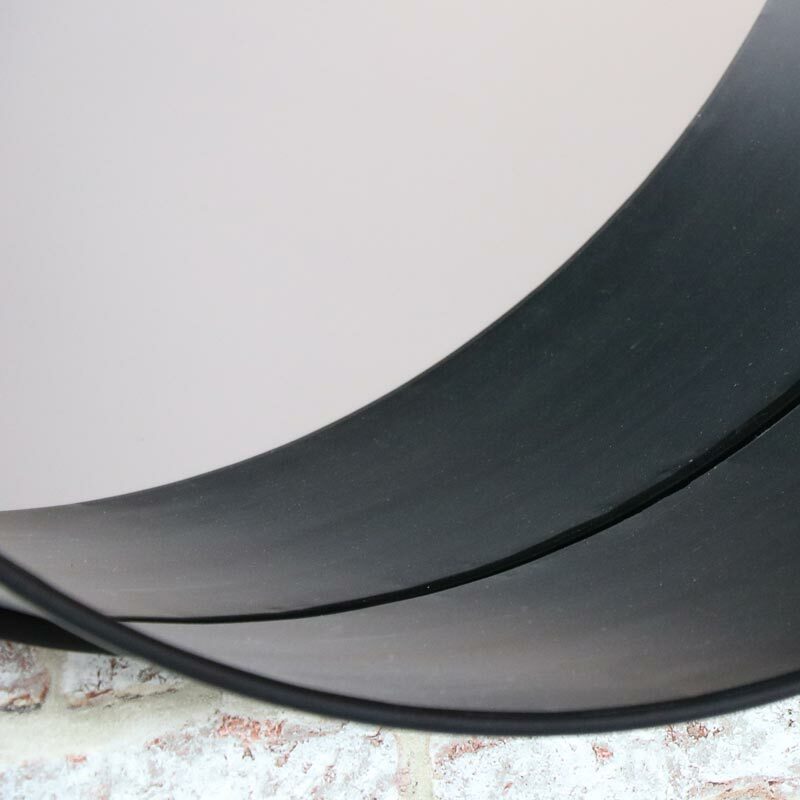 Extra large round mirror with internal shelf. Black metal industrial style frame with rustic wooden display shelf. Great look for modern, contemporary or retro styled home decors. Large round mirror set inside metal frame with rustic, natural wooden shelf, ideal for displaying ornaments, candles or toiletries and accessories. 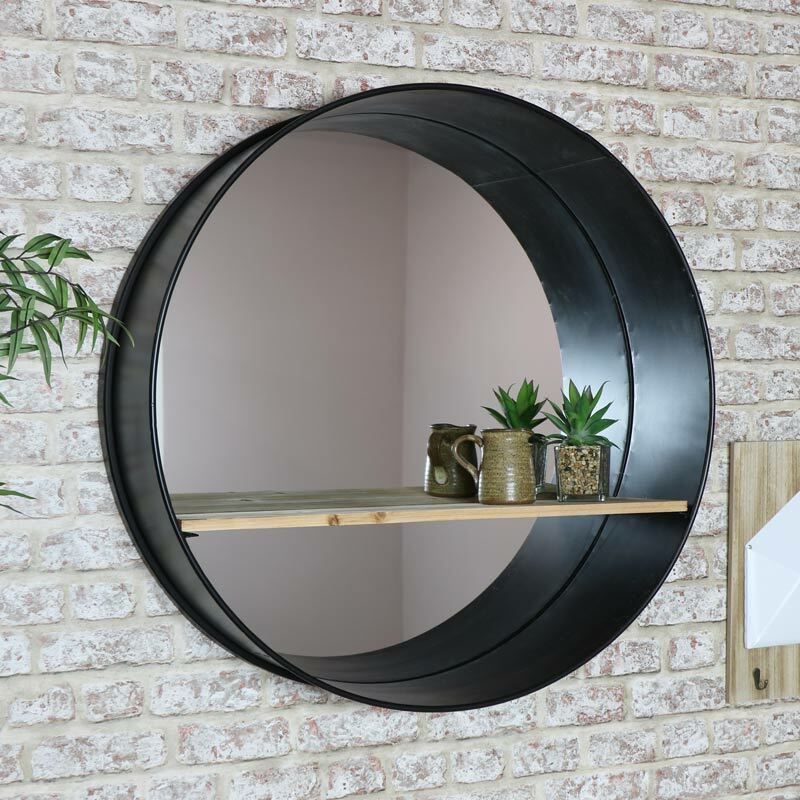 This mirror will easily fit in with our retro and industrial style furniture, perfect for adding that finishing touch to your home.